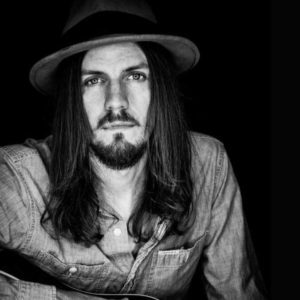 Born and raised in the Southern most parts of Oklahoma in a town named for its circus ties, Ringling, OK. Dylan has been writing songs since he was 18 years old and has since released 3 albums. His Travis Linville-produced debut Dylan Stewart: Pay the Fiddler (2011), Dylan Stewart and the Johnny Strangers (2013), and Dylan Stewart and the Eulogists: Giving Up the Ghost (2016) with his fourth release “The Scarecrow Sessions” coming out in August 2018. Dylan is a modern day vagabond with a decade of touring under his belt and still living up and down the highway lines in the land of Woody Guthrie.